Amazon India to sell large appliances this festive season. Amazon has been swift with its plans in India. An article in Mint states that it will be selling large appliances in India during festive season. 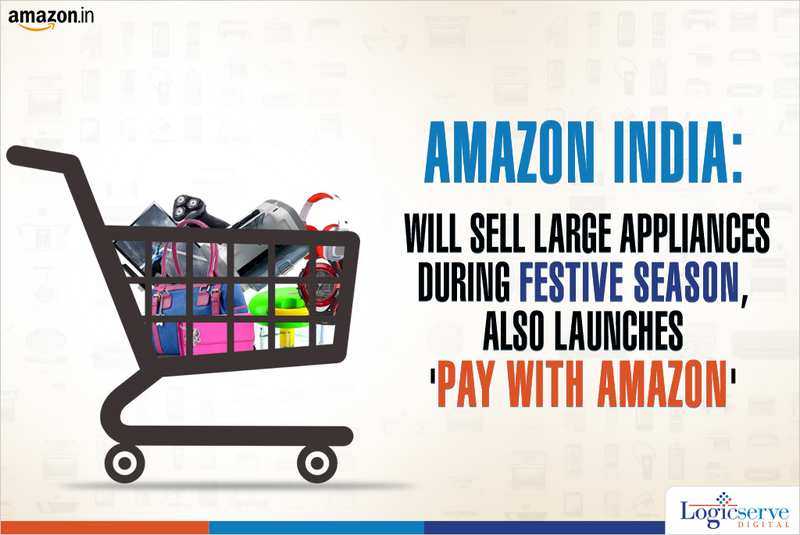 This announcement has come right after it has launched “pay with Amazon”, an online payment service for third party sellers in India. The article further expounds that, the large appliances will include refrigerators, washing machines, air-conditioners and even dishwashers as a part of the festive season sales. This will include brands such as LG, Samsung, IFB, Panasonic, Voltas and Godrej along with those from retailers such as Vivek and Next. Flipkart re-entered the space almost a year later this April, with television sets. Alongside, Amazon has launched a service called “Pay with Amazon” in India. An article in The Economic Times shares that it will provide online payment service to third party sellers. The service is available with an easy set up process. It will enable sellers to outsource their financial transactional processes. For credit cards and net banking payments Amazon will charge 1.95% for each transaction from merchants under the promotional offer valid until 30 September. Post this; the rate will increase to 3%. The article in Mint stares, Amazon’s chief executive Jeff Bezos shared that the company would pump in as much as $2 million into its India business. It launched its Indian marketplace in June 2013. LogicSpeak: This trend clearly states that India is a big market for many e-commerce players. Flipkart, Snapdeal and many like them are planning to expand their Indian business and utilise it to its full potential. The “Pay with Amazon” move is interesting and a wait and watch for other players in the Indian market, for its impact. Weekend Digital Media Round-up: Google’s new Search Console features, Facebook’s Smart Home Device, AdSense’s ad balance optimization tool and more..